Jessica Iapino born on October 14th 1979 in Rome where she lives and works. Graduated at Marymount International School she continues her studies at A.U.R. American University in Rome. Her work is based on an introspective analysis with an eye on contemporary society. Portraying its most simple and human aspects. Throughout a personal philosophy in a constant act of “construction-constriction”. 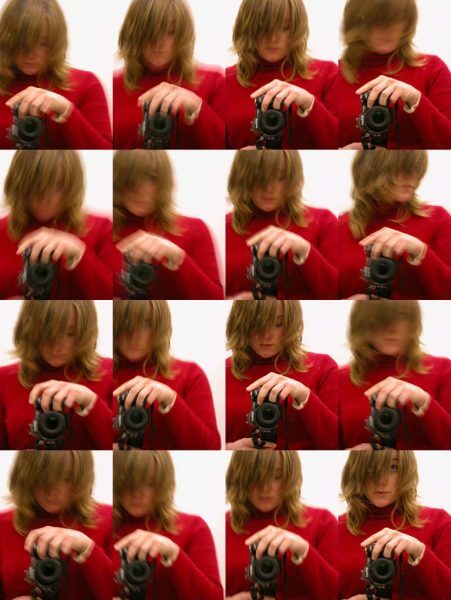 She starts experimenting with video, photography and installation. The need of the filmic medium becomes an important aspect of her work; considered mostly immaterial therefore “light”. From 2004 to 2006 her dèbut with two solo shows: “HERO” Arturarte and “EDEN” presented at MLAC Laboratory Museum of Contemporary Art Rome. In 2007 Gemine Muse a show curated by Antonio Arèvalo “Le Jeu de l’Hombre” (lo sviluppo delle virtù cortesi) with a site-specific work at the Napoleonic Museum Rome. In 2008 the solo show “bring me back_HIGH” curated by Alessandro Facente, L’Union contemporary art in co-production with fondazione VOLUME! and in 2009 she presents a solo show titled “LOVERKILLERLOOP” Dora Diamanti Contemporary Art Rome. She participates to several Film & Video Festivals in Italy and worldwide among which the Optica Festival Gijon 2008, candidate to the “Optica Award” for Independent Artists, Gijon, Madrid and Paris. Is September 2009 she participates at the SKOPJE gates BIENNIAL 2009, Skopje R. of Macedonia, and wins first prize for “images on the move” selection. In her work the idea of filmic evolution begins to prevail, considering the concept of Cinema as a “medium” and not as “industry”. In April 2010 is finalist in the category “italian shorts” at the RIFF Rome Independent Film Festival. In October 2010 the work “Previous. To the source.” is presented in the project “Another_Fiction” curated by Antonio Arèvalo at V.M. 21 Gallery in Rome, Italy. In March 2011 the X° edition of RIFF Rome Independent Film Festival presenting as a world premier the short movie “Il Quarto Ordine” (the fourth order). In 2013 some of her self portraits were published in the photographic book “Il Corpo Solitario” by art critic Giorgio Bonomi among the most important artistis such as Cindy Shermann, Andy Warhol, Li Wei, Francesca Woodman and young emerging artists. L’UNION Arte Contemporanea / Fondazione VOLUME!